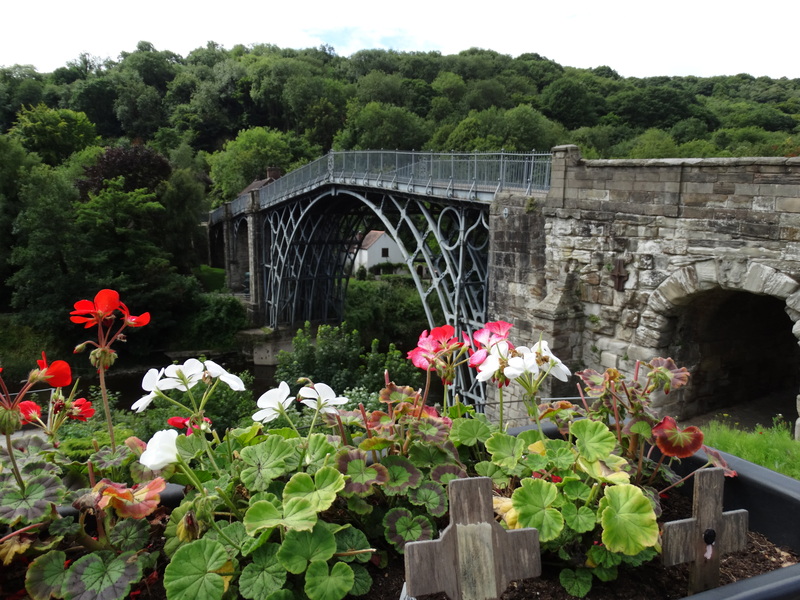 The other reason for a holiday in Shropshire is an exhibition at Coalbrookdale Gallery “To check the tide of prejudice: John Cooke Bourne and the London & Birmingham Railway” – website. 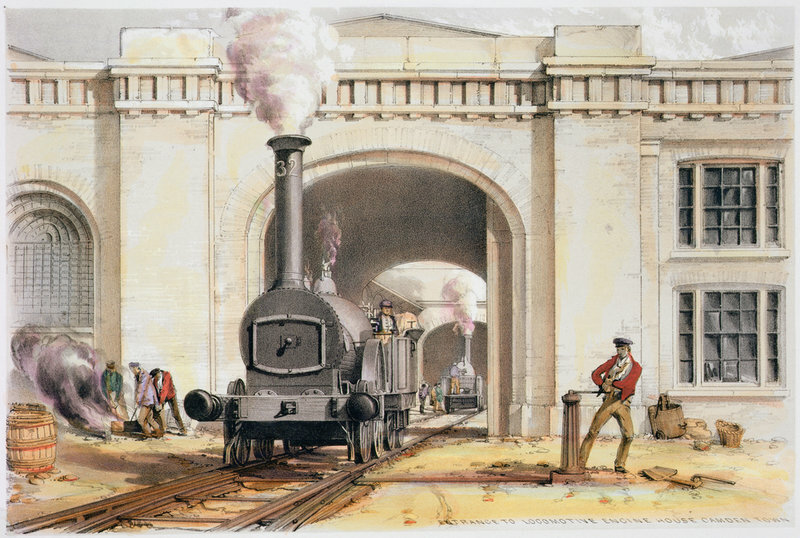 I wrote an essay for my York Railway Course on this early railway artist, and met Matt Thompson, the curator of this exhibition, last time I came here (October 2012). It was an excellent exhibition, although only one room. There was some of Carmichael’s early work I had never seen, some beautiful doodles of workmen and their animals, the L&B lithographs and some watercolours that went with them. This is a watercolour of the Camden engine shed – I purchased the lithograph of this a few years ago and it hangs in our lounge at Hexham. 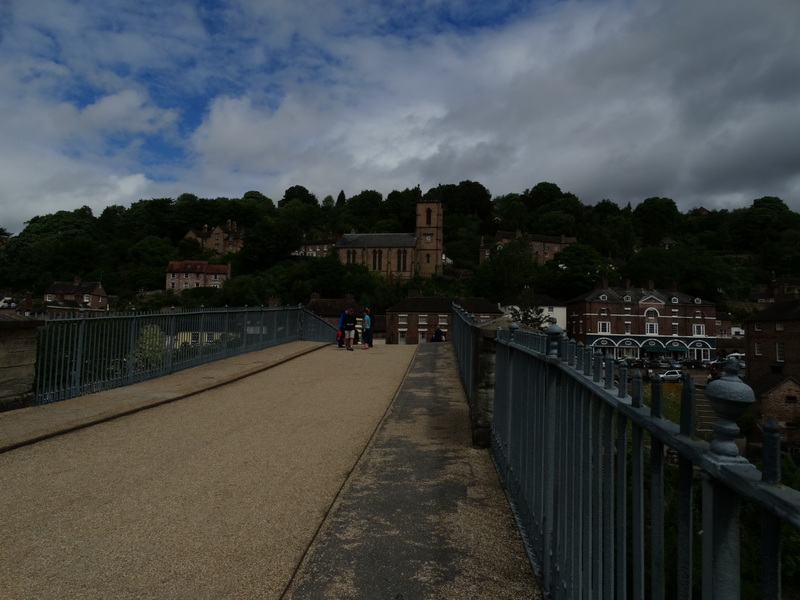 We drove down into Ironbridge itself and eventually found a parking space. 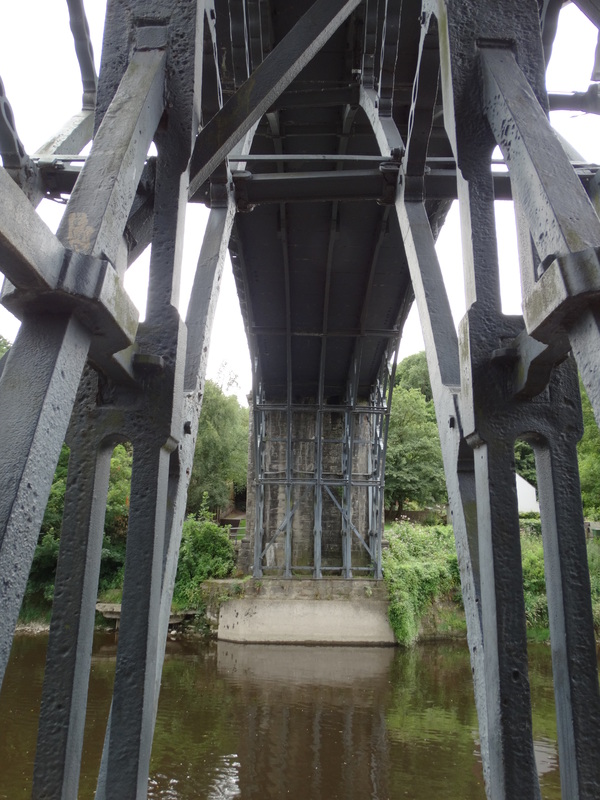 I went for a walk along the Severn and under the iron bridge. 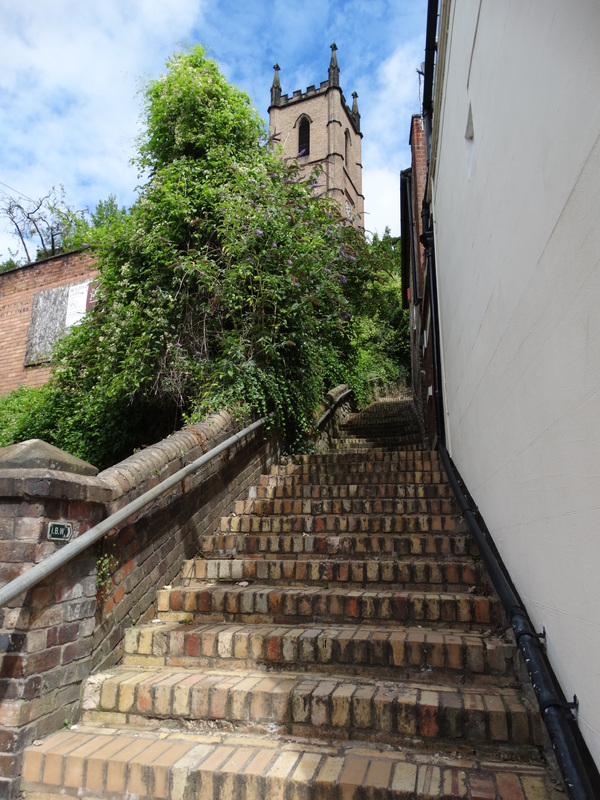 Then I climbed lots and lots of steps to St Luke’s church – grid reference SJ672035. 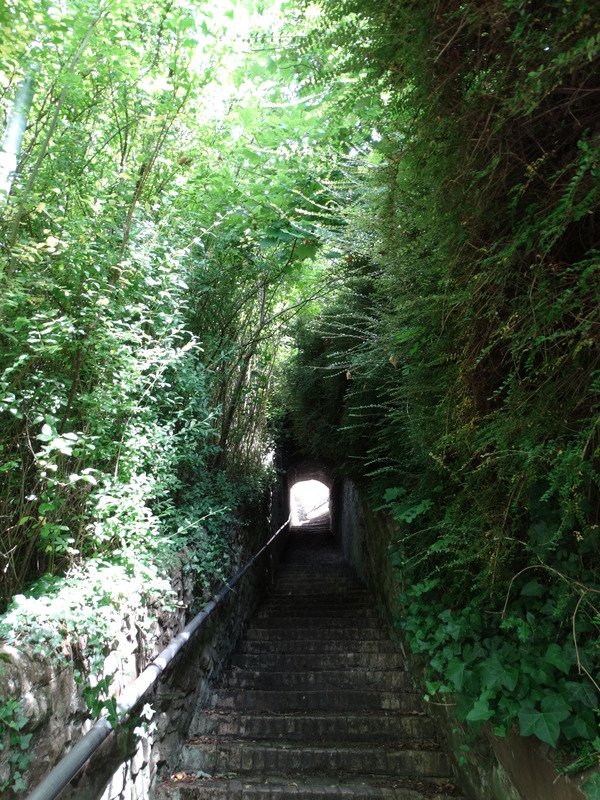 The steps even go under the churchyard! The church was locked. 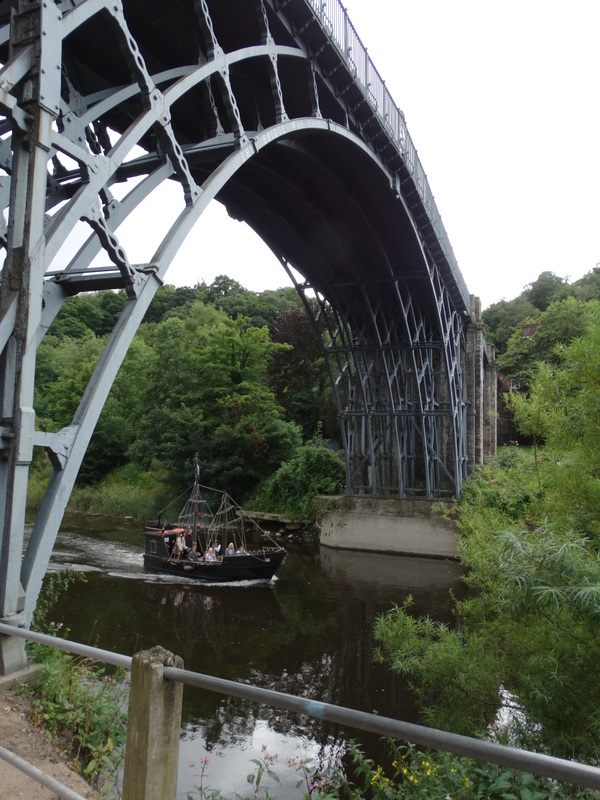 The noticeboard tells me they are part of the Shropshire Churches Tourism Group and I can be sure of a warm welcome! It also has a “What’s On” poster … for June. Later I went on the Shropshire Churches Tourism Group www.discovershropshirechurches.co.uk/ which has lots of churches to visit, and in another church I picked up a very good colour guide that the Trust has done. St Luke’s should be open. I also went on the Shropshire Historic Churches Trust website – www.shropshirehct.org.uk/ – the homepage which has a picture of the inside of a church and a note “click on the chancel screen to enter the site”. If you are not a regular churchgoer you probably don’t know what the chancel screen is – which is hardly welcoming. How sad that in the middle of a tourist village the church is locked and bolted.